The F-94 Nozzle is available in a wide range of spray angles for many diverse applications. A unique spirally milled core or “disc” produces a high velocity spinning action that gives a solid cone distribution of medium atomization. The tip has a straight machine thread for use with a male or female adaptor with NPT connections. This Nozzle is particularly successful for dust suppression, industrial washers, coal washing and the production of carbon black. Material: Standard in 416 Stainless Steel. Also available in 304 and 316 Stainless Steel. Spray Angle: 15°, 30°, 45°, 60°, 80° at 100 PSI. The H-530 is a simple Nozzle which is a variation of the nonclog principle. 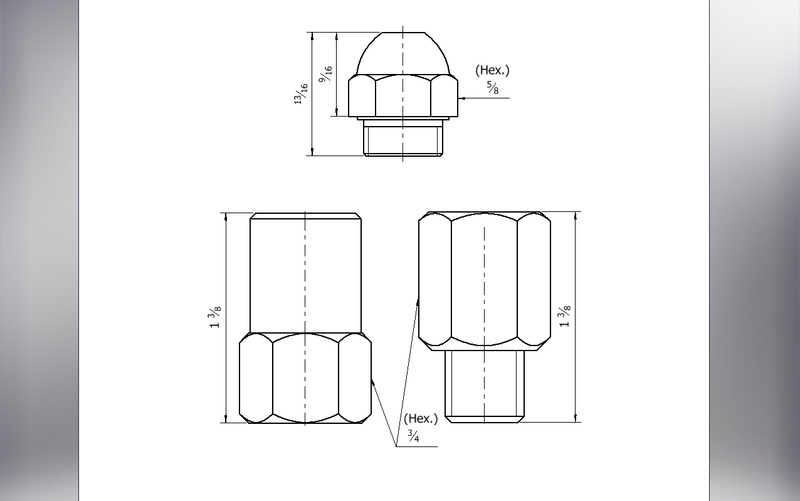 Nozzle consists of two parts, the Body which contains the inlet pipe connection and the orifice; and a Cap which forms the bottom of the Swirl Chamber. The solid cone spray is uniformly distributed over the entire area of coverage. Typically used where a right angle connection is required for gas scrubbing, rinsing, washing, quenching and dust control. The H-837 Nozzles produce a solid unbroken stream with a defined jet length before breakup of the liquid occurs. Useful for cleaning and cutting operations. To maximize stream length, mounting close to tees should be avoided as the turbulence produced from “turning the corner” disrupts smooth stream. The B-25 Nozzles are of two piece construction with large tangential metering slots in the internal Disc to give a nonrestricted flow with a uniform “Solid” distribution. For special applications, a hollow cone spray can be produced from this same design. These Nozzles with high flow rates and coarser sprays are used in gas scrubbing, adsorption towers, brine spraying, and chemical and industrial processing. (1) Case Fully assembled and ready to use! Monarch... Your first choice for spray nozzles. Time tested quality! Today and always!